Future Foundations has delivered the NCS programme since 2012 in the Spring, Summer and Autumn in different regions in the UK. 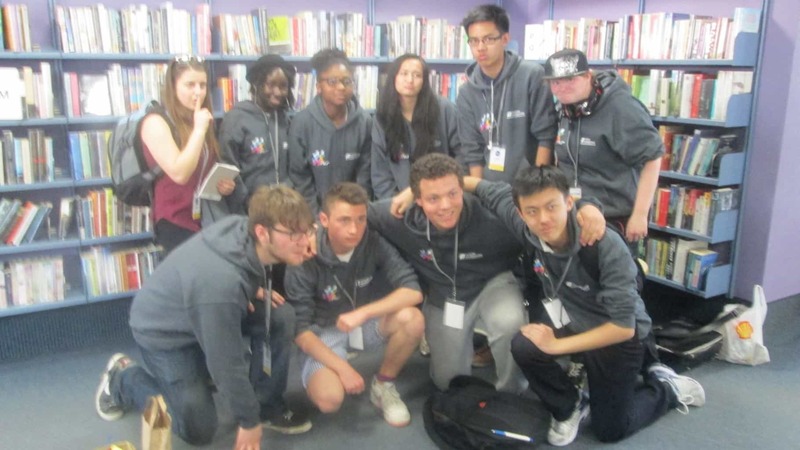 You can read all about our NCS journey on this page. Inspiration: Encouraging young people to flourish after NCS – continuing to mix, contribute to their community and achieve personal goals. 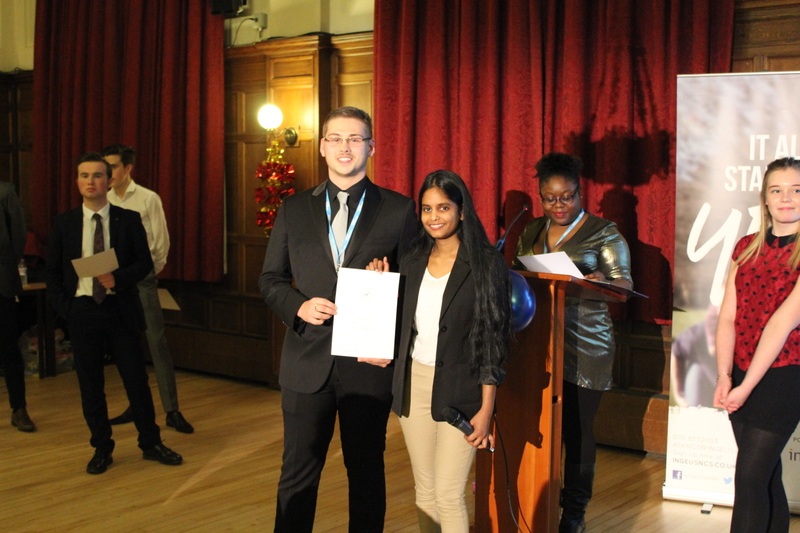 "NCS has taught me skills and given me experiences that I will never forget, and that I am sure will give me the confidence to succeed as I head into my first career." 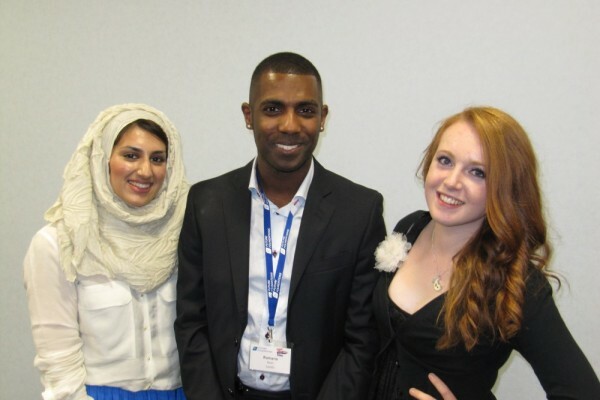 "My son's time on NCS has changed his attitude towards life as a whole. Never before has he been so eager to talk about something he's taken part in outside of family life." "The friends I made on NCS are the closest I have ever had. I never thought I would be able to bring myself to take part, but I am so glad that I did." "I really enjoyed building my confidence and teamwork skills. 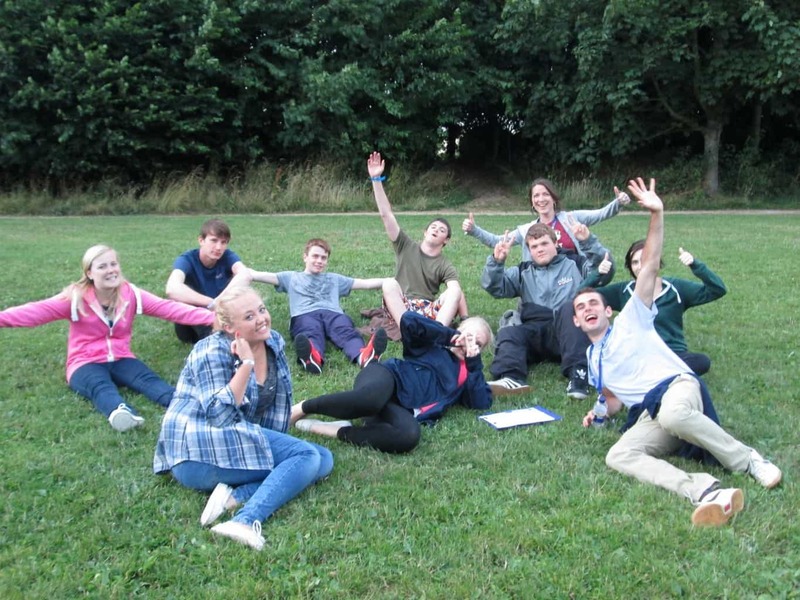 Our action project was a challenge, but I am so glad it made a positive difference to the community"
2012 was Future Foundations’ first year delivering NCS while it was still in the pilot phase. 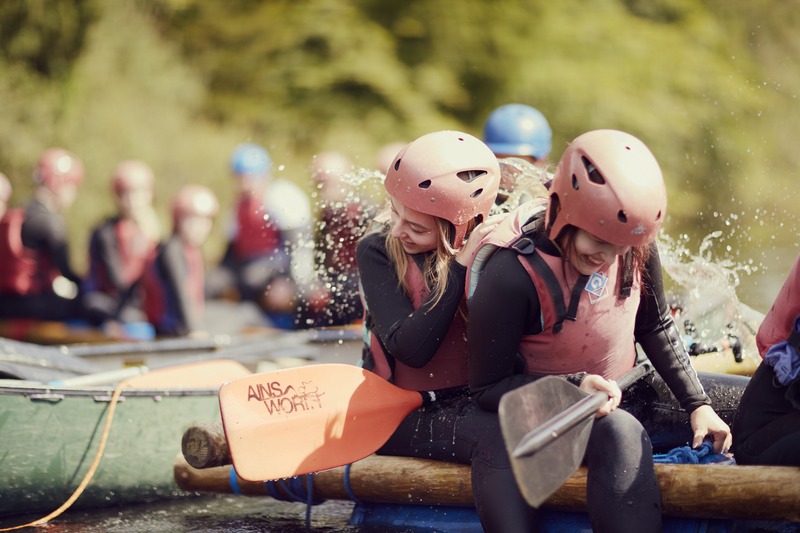 Summer saw an impressive 500 places delivered over 9 regions across the UK.We delivered Summer NCS in:Leicester, Nottingham, Berkshire, Bath, Leeds, Newcastle, Southampton, Coventry and Sheffield. This huge logistical operation also including setting up and delivering our own outdoor activity week at Wellington College in partnership with Skillforce. 2012 was the first year the Autumn programme was delivered. 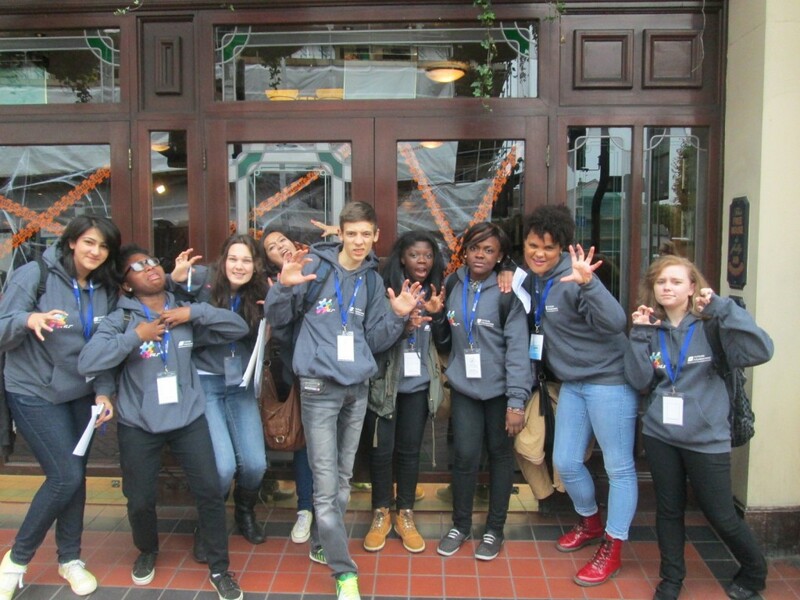 Future Foundations took on 4 regions and delivered the new model to 150 young people in Southampton, Wandsworth, Berkshire and Leicester. 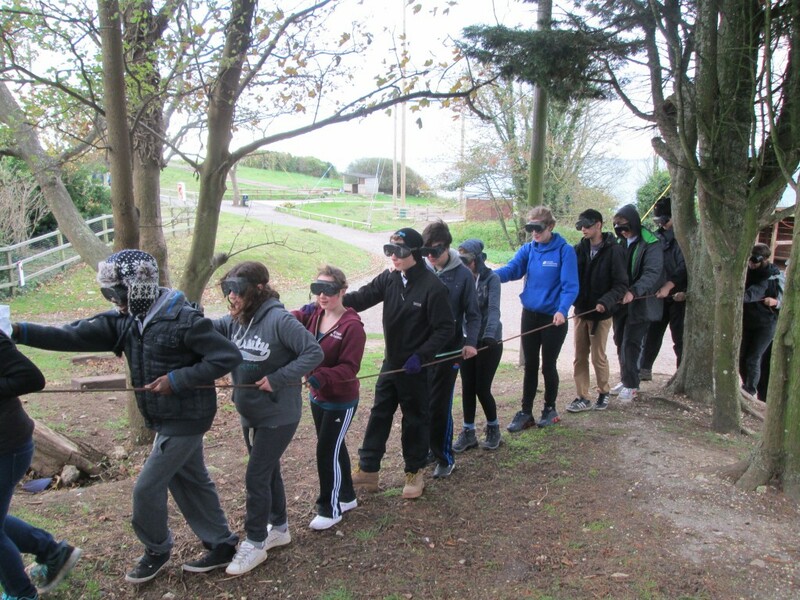 Young people spent a week at PGL before returning to their communities for 5 Saturdays of social action and leadership skills. 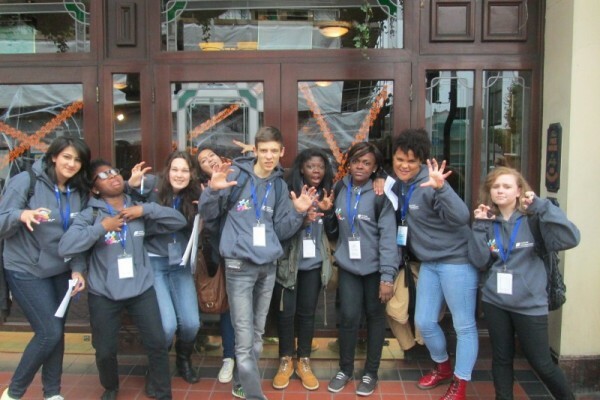 Our Autumn programme was selected by the Cabinet Office to be filmed by Channel 4- check it out: Part 1 and Part 2 to see our amazing young people making a difference in Wandsworth. Under the 3 contracts we delivered 260 places across the 3 regions. In Berkshire we created and piloted the Champion Cluster model of recruitment working with The Holt, Forest School and Wellington College. This was hugely successful and the model is now being used by other providers. 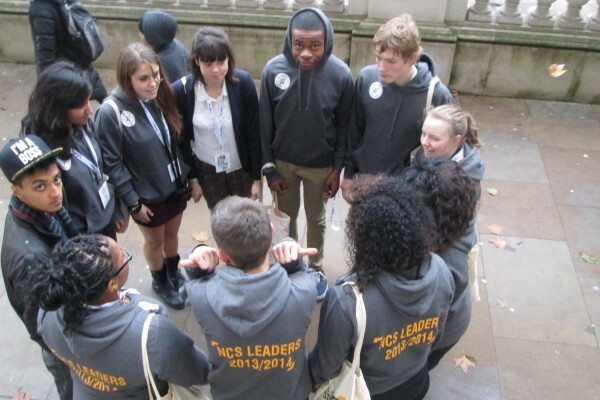 Once again Future Foundations was selected to deliver the NCS Leader programme working with the NCS Trust. 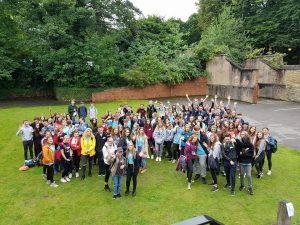 98 young people from around the country came for an amazing 5-day residential. You can read more about the programme and its impact here. We delivered the Spring pilot model in Berkshire, it was a small programme with only 8 participants but a fantastic experience for everyone who took part. The team spent 3 nights at Hindleap Warren Outdoor center, braving the cold April weather for a night in the bush. 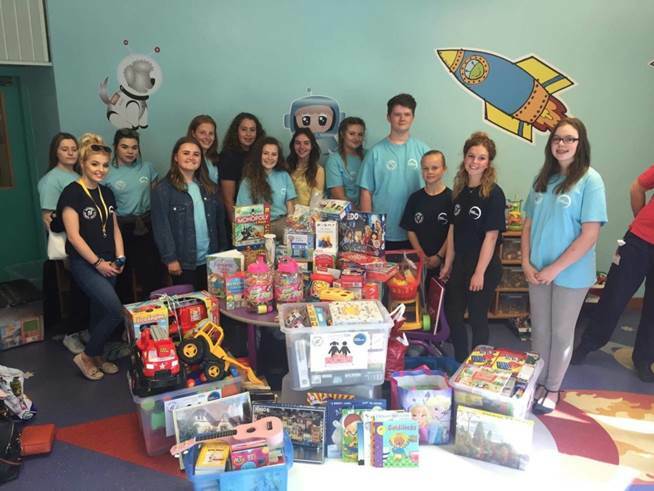 After the residential the team worked with Launchpad for their social action project raising money and awareness for the Reading based homeless charity. This summer we delivered the NCS programme to 138 young people with a staff and volunteer team of 40 working through the summer. 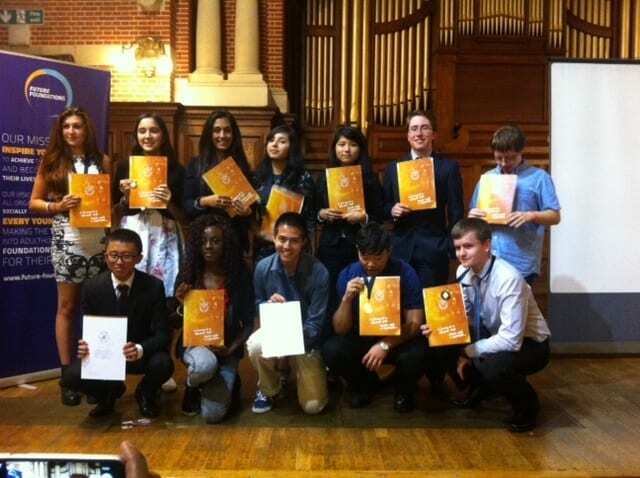 We had young people from all across Berkshire take part in the programme and the graduation events in September had the 12 teams presenting their amazing projects they had created; from sensory gardens, to painting community centers, to cleaning up the streets of Reading. You can read more about the graduation events here. Autumn 2014 took place from the 24th October until 27th November with 45 participants. The teams did their residential phase at Condover Hall in Shropshire. The 3 teams developed 3 incredibly different social action projects. One team turned a community centre into a creative space, another developed a scheme to support those with Alzheimer’s and the third team supported Primary schools in buying tablets and increasing the use of technology into the school curriculum. 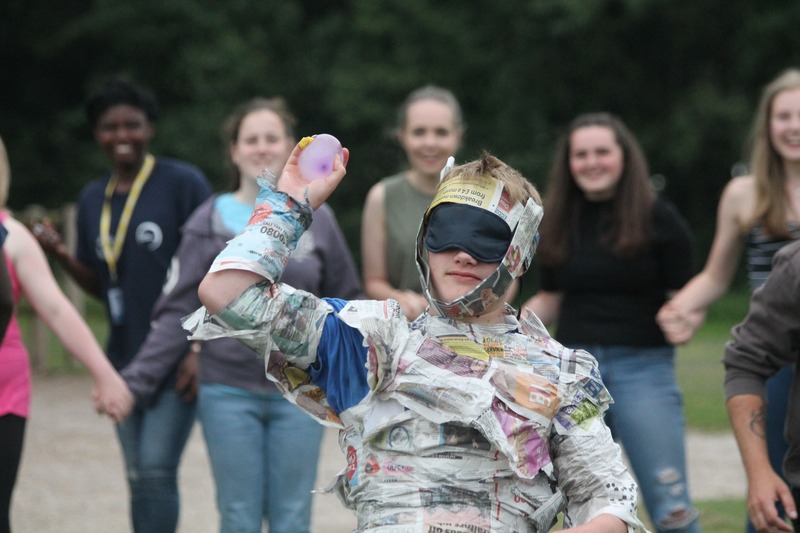 This past week or so I have also been amazed by his enthusiasm for and commitment to his group's social action project and the obvious enjoyment and benefit that he is getting from participating - it's a great pity that the NCS programme isn't part of the national curriculum! 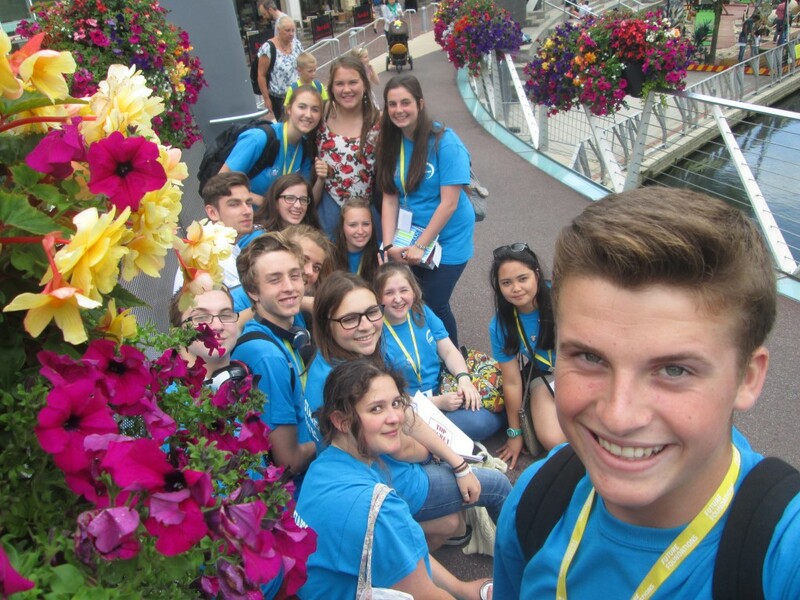 In the spring of 2015 with just a matter of weeks until the NCS summer programmes were due to launch, we got a call asking us to create and deliver a programme in Chesterfield, North East Derbyshire. 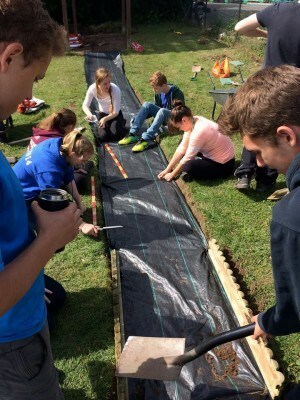 Never one to shy away from a challenge, in true NCS style we said ‘yes’ and thrust ourselves into our stretch zone. 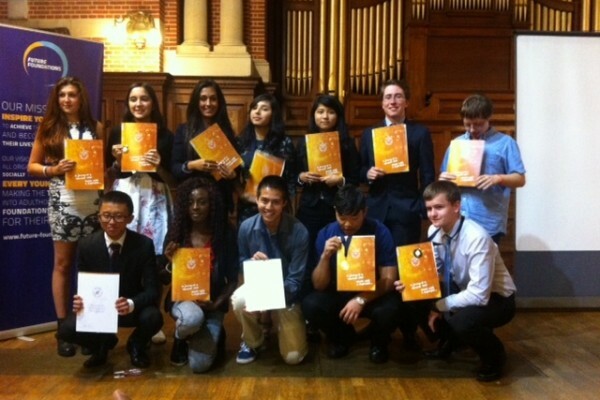 Four weeks later, a few late nights but never in doubt our NCS Chesterfield programme was ready to launch. We set up office in West Studios, Chesterfield College enabling us to quickly establish useful and important contacts in the region. That Summer we delivered a quality programme and our expansion in the region had begun. 2016 saw us continue grow in the Derbyshire region. 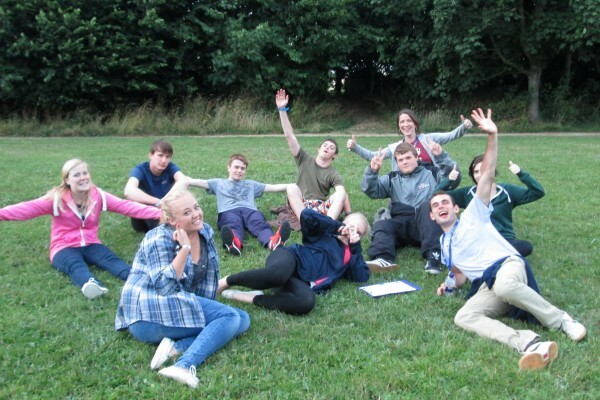 We delivered NCS to over 200 young people in Chesterfield, a record high for the area! 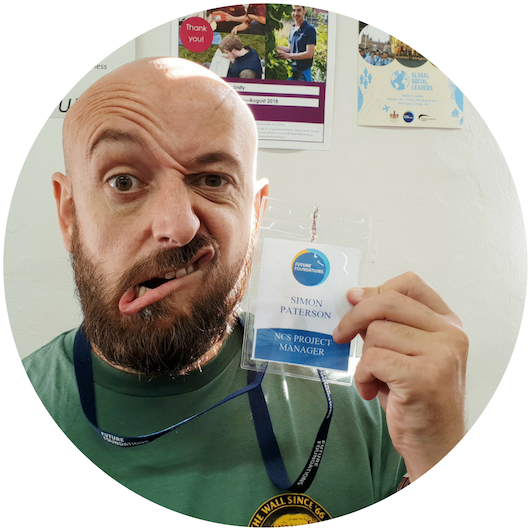 Our in depth knowledge and commitment to facilitating the very best social action projects enabled us to further enhance our reputation, so much so, that we were singled out at the NCS Conference for being at the forefront of social action! The autumn saw us appoint a new Project Manager in the form of Simon Paterson. Simon led the autumn programme from the front, seeing him out on delivery as Wave Manager. 43 out of 45 young people graduated! Due to the success of this programme our numbers for 2017 delivery were more than doubled! With Simon in place as Project Manager and Michelle Horne as head of Programmes were well placed to deliver our biggest summer ever, and we did! With over 420 young people embarking on the Chesterfield Programme, Simon and Michelle created and delivered an outstanding programme and our expansion continued! 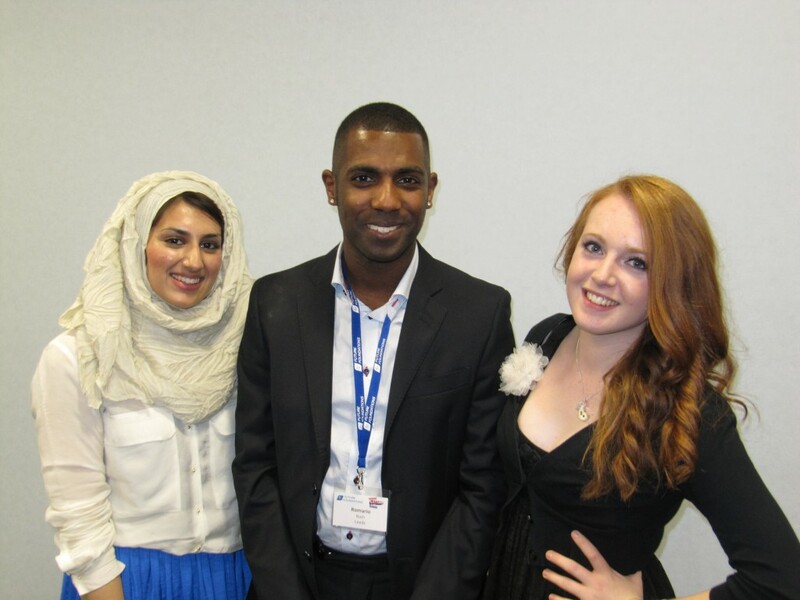 Autumn saw us deliver our first bespoke college programmes. Working closely with Chesterfield College, we designed and delivered a programme tailored to students in the world of business, IT, Media and Public Services. 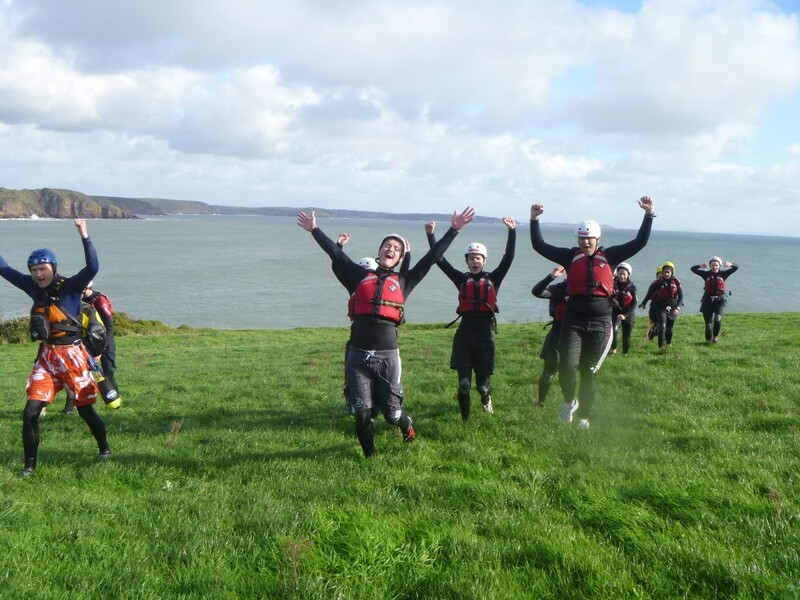 We recvived outstanding feedback and yet again, were awarded further areas of NCS delivery! Our ever-growing Summer delivery stood this year at over 700 young participants! 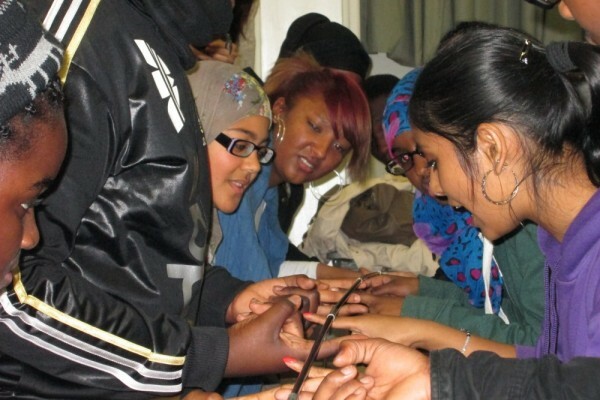 We delivered the NCS programme across North Derbyshire, Newark and Bassetlaw, and saw young people from a wide variety of backgrounds and cultures participate in challenging team-building activities, careers sessions, and develop socially-conscious action projects to impact their local communities. Phase 1 took place at Oakland’s Manor, Buxton, where the young people pushed themselves to limits seldom reached inside the classroom. 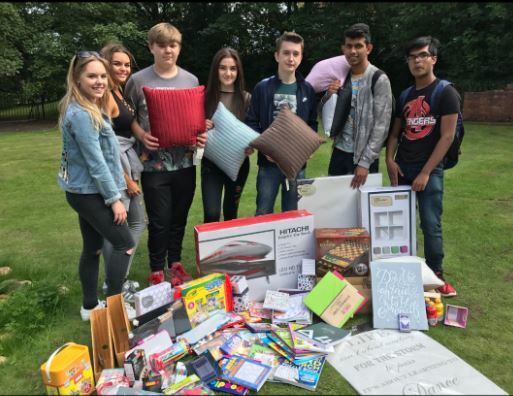 Phase 2 and 3 saw the same effort from the young people, with the creative inspiration during the social action phase striking projects and collaboration with local charities, social causes and individual members of the communities. Both our College-Bespoke and Autumn programmes took off with great success this year, with our first programme heading out in late October. 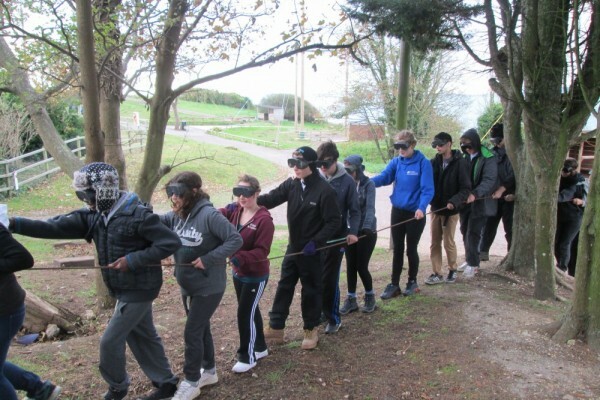 Students of Sport, Public Services, Business and IT took part in our College-Bespoke programmes, which tailored to aspects of their individual courses and encouraged them to work alongside their classmates to conquer obstacles and challenges throughout programme. The power of NCS was clear. There were woes and worries at times, but the development of confidence, friendships, and new skills alike was widespread. 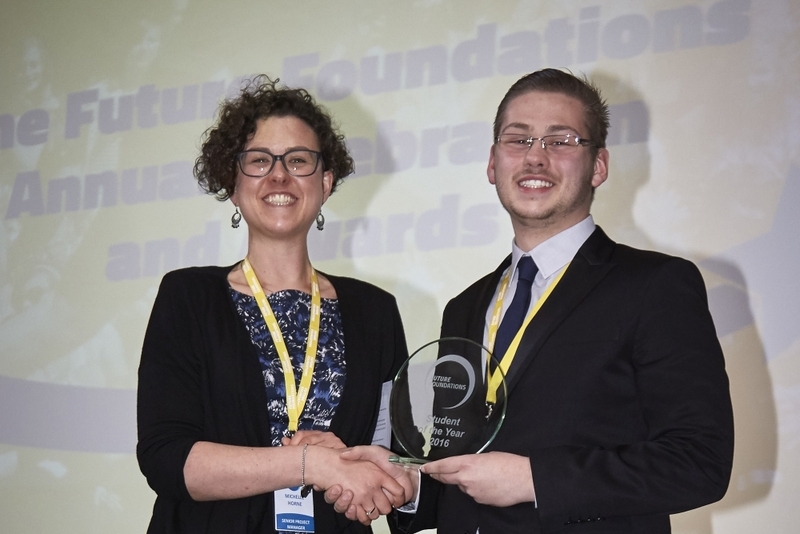 Social action projects showcased at this year’s graduation impressed high-ranking college staff, NCS network members, and individuals in the local community, with young graduates receiving well-deserved praise for their part in creating these. 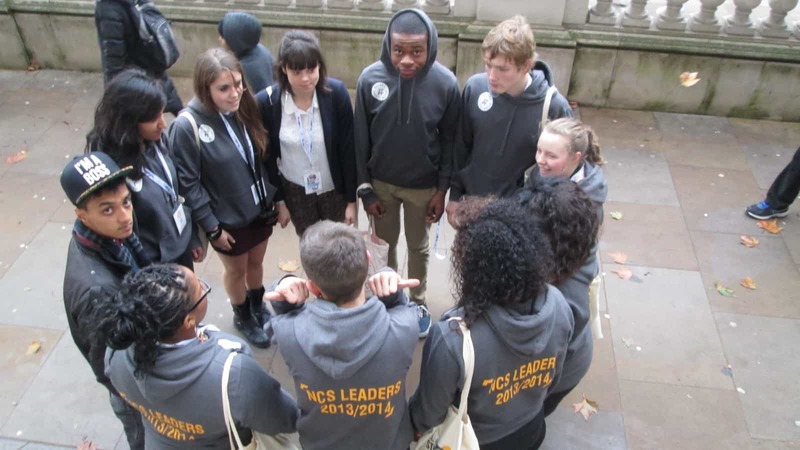 What skills have you learnt through NCS? Communication skills such as contributing to group discussions and confidence when presenting. I learnt how to tie a knot which I didn’t know before! I feel like this experience has made me more independent and organised away from home. 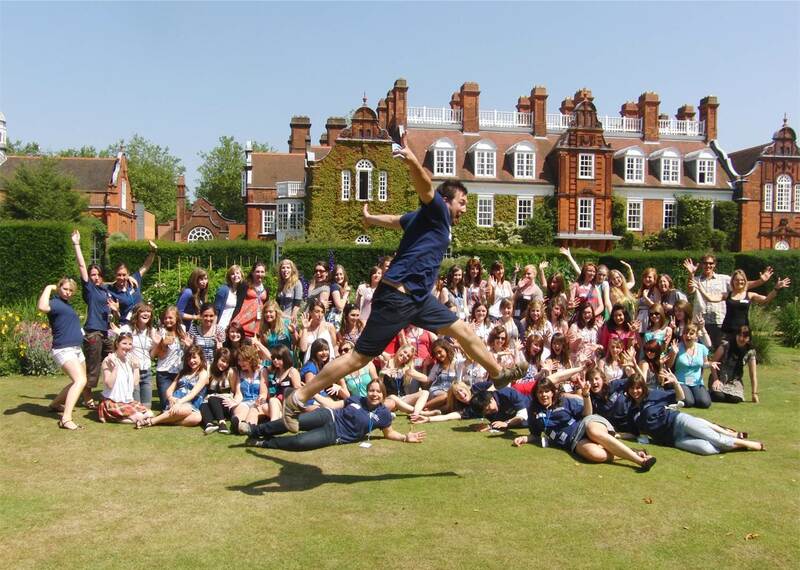 What has been your highlight of NCS? During the first weeks I really enjoyed the outside activities, especially swimming, rafting in the lake and sleeping outdoors was really fun. I enjoyed hearing about exciting social action projects in week 3. 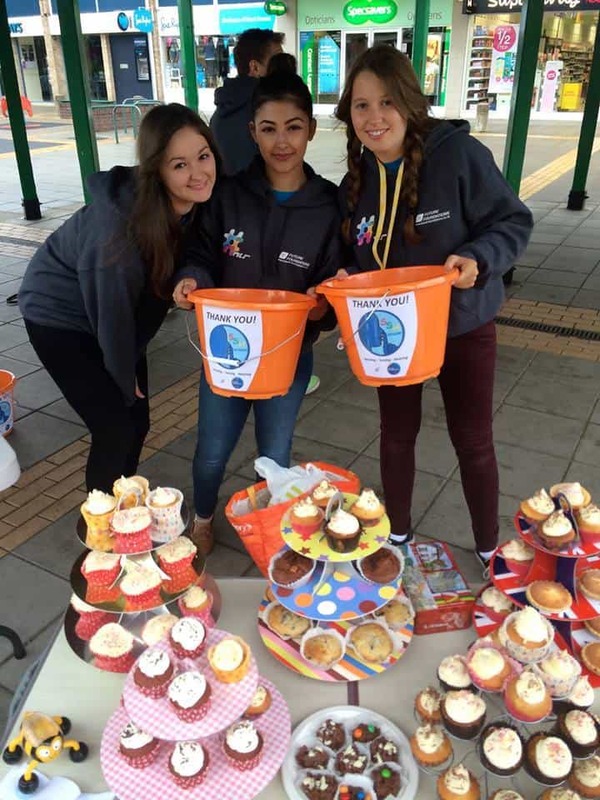 How has NCS inspired you to get involved in your community? Our day out to Long Eaton opened my eyes to the problems the community faces that I didn’t know about before. Being in a group with the set up around us makes me realistic to make a real impact than if we were at home. 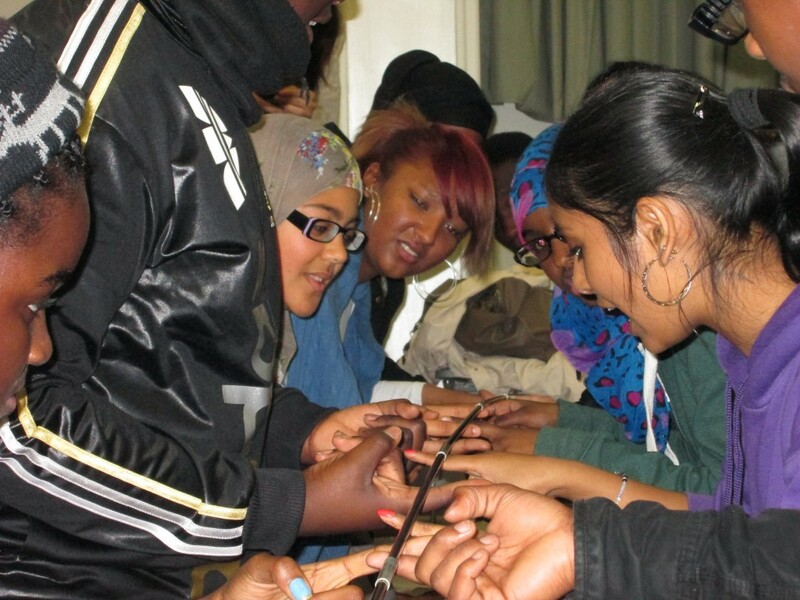 How has NCS inspired you to get involved in your community? I didn’t know about the problems that existed in my community. It’s inspired me to take responsibility to find them and trying to fix them. What is your Social Action project and why did you choose it? We’re giving local businesses the challenge of raising as much money and awareness as possible for the Berkshire Autistic Society in 10 days. 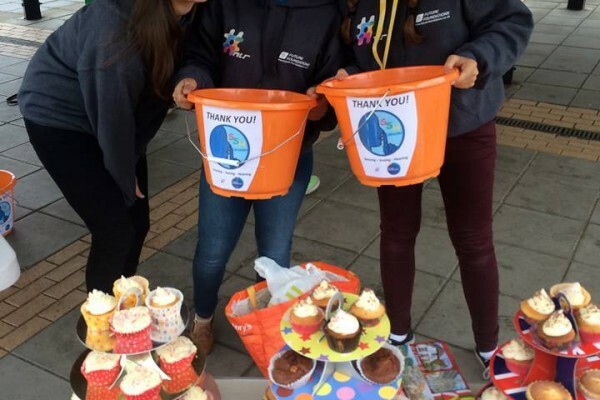 We did this as on our community visit we learnt that autism is a huge issue in the area and the BAS told us the best way we could contribute to the issue was through fundraising. We wanted to raise funds and bring together the community at the same time. This team created a sensory garden at a local Reading primary school to help those with sensory impairments or who are on the Autistic disorder spectrum. They also wanted all children to benefit from the calming environment the garden would provide which would help them progress through school life. The team raised over £1000 through bake sales, donations and other fundraising efforts and created an incredible garden in under 2 weeks. They have created a blueprint that other schools can use to create similar gardens and have secured £2000 in additional funding from Starbucks to continue working on their project. The team created an amazing video which shows their project and the impact it made on the children. Watch the video and get inspired! Team HUA’s project aim was to help support the national campaign to change the law making child neglect a criminal offense. The team worked with Action for Children and the NSPCC, to make this change by getting signatures for a petition to be presented to Parliament and educating people on child abuse through presentations and engaging with the public. 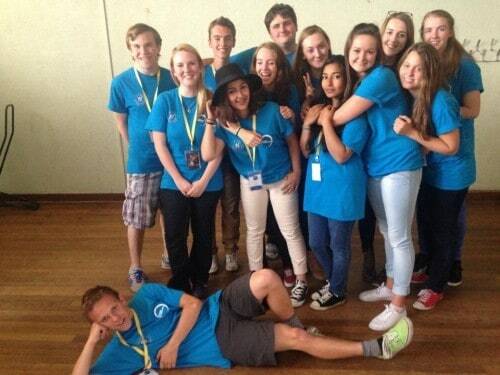 Each year we work with loads of different staff and volunteers to deliver the NCS programme. Our staff come from a huge range of backgrounds and experiences ranging from teachers, youth workers, motivational speakers, students, careers advisers and trainers. 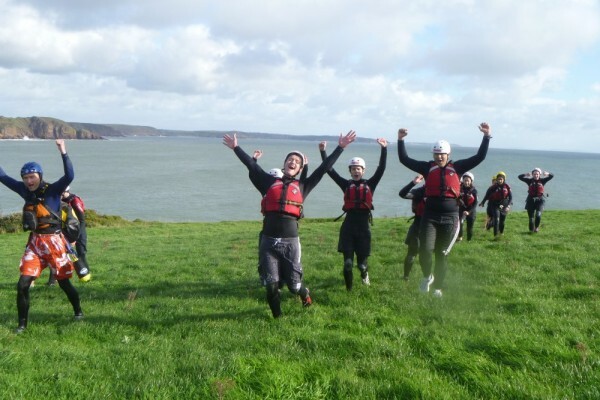 Many of staff return year after year and bring a hugh wealth of experience from NCS and other programmes they work on with us throughout the year. 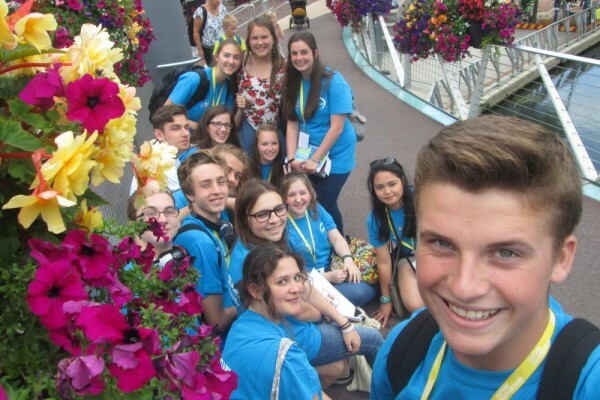 On NCS we have volunteers come along to support our staf team, many of them are NCS graudates themselves so can offer fantastic support to the young people and share their tips from their own experiences. Our staff are so amazing they were selected by the Cabinet office to star in informational videos about NCS that were used nationally to promote NCS. Have a look!